Surfy Surfy is adopting Jon Wegener as one of our stock board shapers. For the first one he shaped this clean 8’6″ 3 stringer. 2+1 setup. Simple clear and clean glass-job by Moonlight Glassing. Jon and his wife and daughter live up the hill from Surfy Surfy and we’ve been watching him shred his shapes for awhile now. 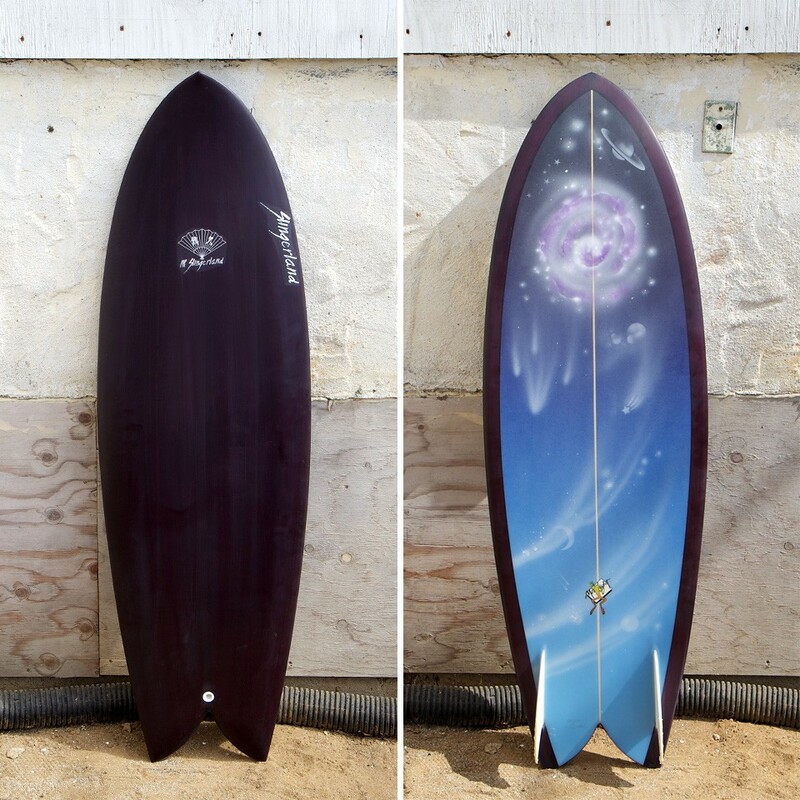 Plus, Surfy Surfy has a fondness for Hobbit shaper/surfers. Julie sings sweet songs to soothe your Surfy soul while Bo keeps the rhythm smooth. 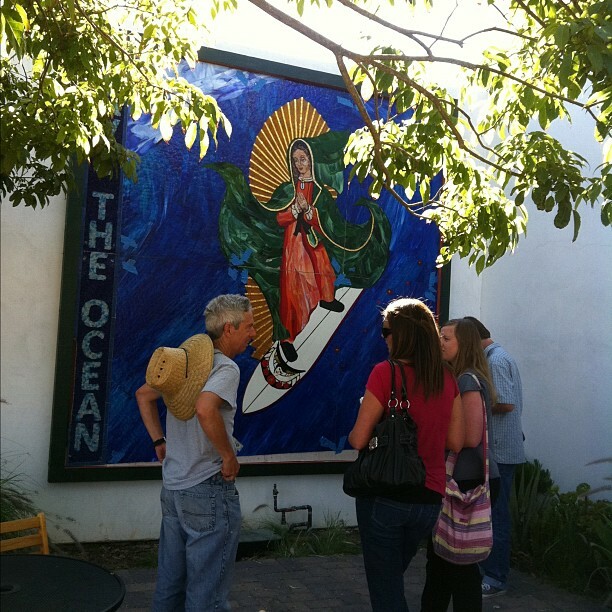 The Surfing Madonna reappears in Leucadia, CA. 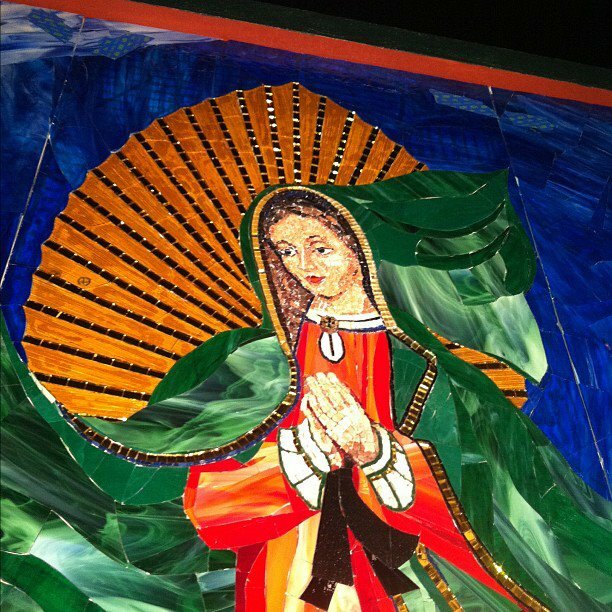 Pray for Surf! 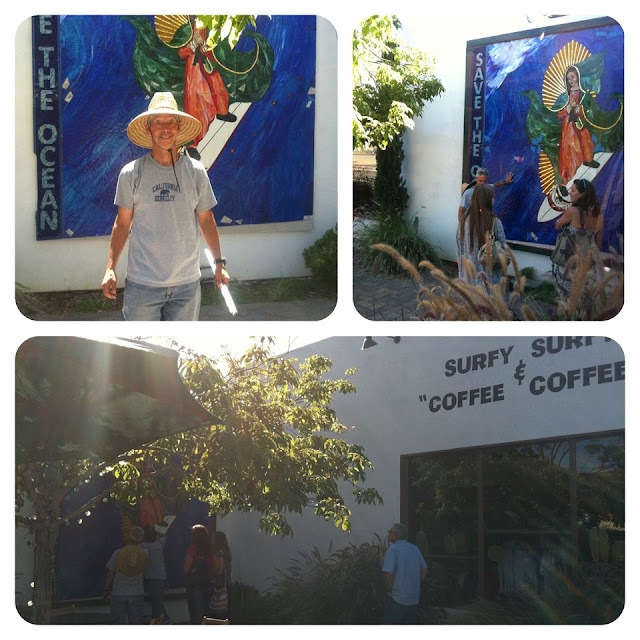 Artist Mark Patterson has installed the famed Surfing Madonna mosaic piece in the Cafe Ipe aka “Coffee Cofee”, Surfy Surfy and Santos Fine Art patio with the cooperation of landlord Keith Harrison. Cruise down to 974 N. Coast Hwy 101 in funky Leucadia, California and see it person. This is the original piece that was all over the news last year. Photo gallery of the installation on the Santos Fine Art Gallery Facebook page.